Whip up some sugar free sweet delights and drinks for your father on Father’s Day on Sunday, suggest experts. * Method: Mix all the ingredients and blend in a blender. Froth it up and serve chilled, garnished with almond flakes. * Method: Combine custard powder and the cold milk in a small cup. Stir until smooth. Place custard mixture, sugar free green and remaining milk in a small saucepan over medium-low heat. Stir constantly until custard comes to a boil and thickens. Simmer and stir for one minute. * Method: Take a glass mug or a long glass. Fill bottom of glass with muesli. In a separate bowl take curd and add sugar free green. Mix them well. Pour half of curd into the glass, and then add fruits. 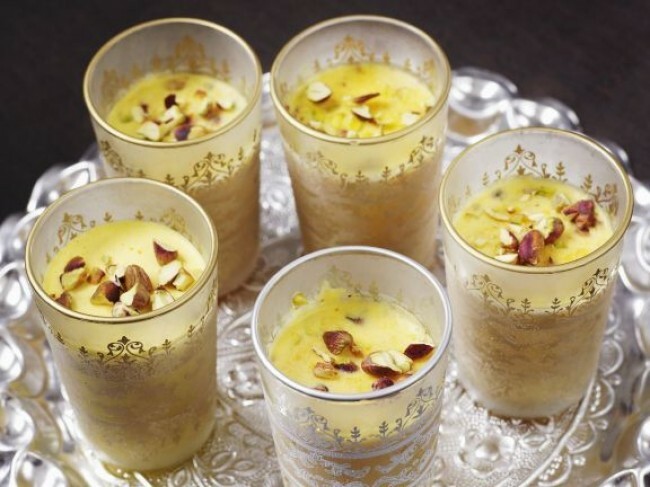 Pour remaining curd in glass and then add dry fruits, and few more fruit. Garnish with mint leaves.